Perhaps you’ve, sometime in the last ten years, uttered the words, “Who cares about Call of Duty’s singleplayer campaign? I’m only here for the multiplayer.” Well in answer to your question, I care about the campaign. It’s a guilty pleasure. But perhaps I’m in the minority, and I guess it was only a matter of time before Activision tried to cater to the 360-no-scope crowd. 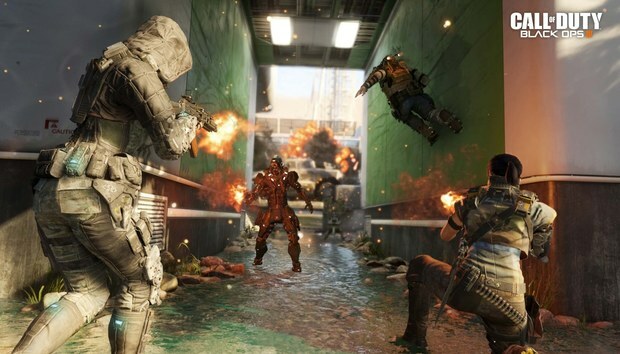 From now until February 29, you’ll find the Call of Duty: Black Ops III – Multiplayer Starter Pack listed on Steam. There’s your multiplayer-only Call of Duty. The list of what’s not included is almost as long. You can’t play custom multiplayer games, for one. Or mods, once those are up and running. You’re also not allowed to Prestige, with your level capped permanently at 55—though I was always too lazy to Prestige anyway, so that might not be a big deal. And, of course, you can’t play the Zombies or Campaign modes. If you hit that Level 55 cap and want to keep going, or you suddenly have a change of heart and want to play Zombies/Campaign, you can upgrade to the full version of Black Ops III for $45. But that’s assuming you jump on this offer. As I said, it’s only available until February 29—maybe it's an experiment by Activision to see how people respond? I wouldn’t be surprised to see something more permanent crop up with Call of Duty 2016 Edition either at or shortly after launch this (presumably) November.